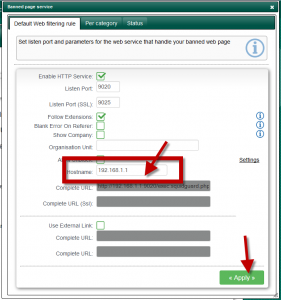 The Web filtering Deny webpage is Web page generated by an Artica service. 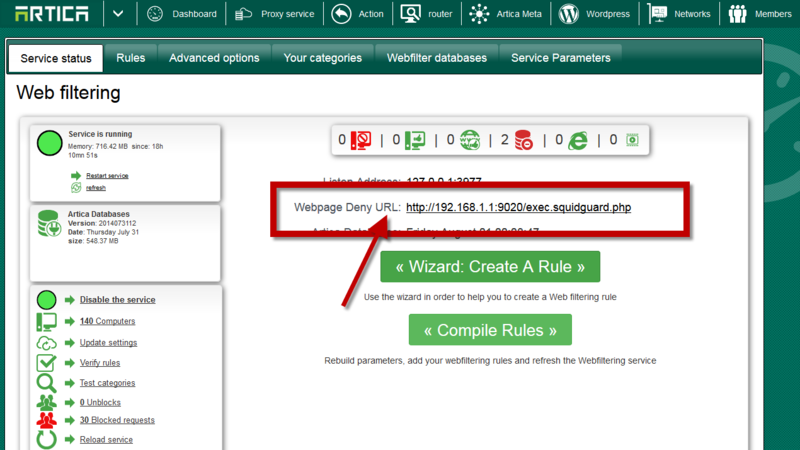 When users try to access to a deny website, the proxy redirect the request to the Artica dedicated Web engine. By default, the Artica HTTP engine listens on 9020 port and the redirect URL using the Proxy IP address. 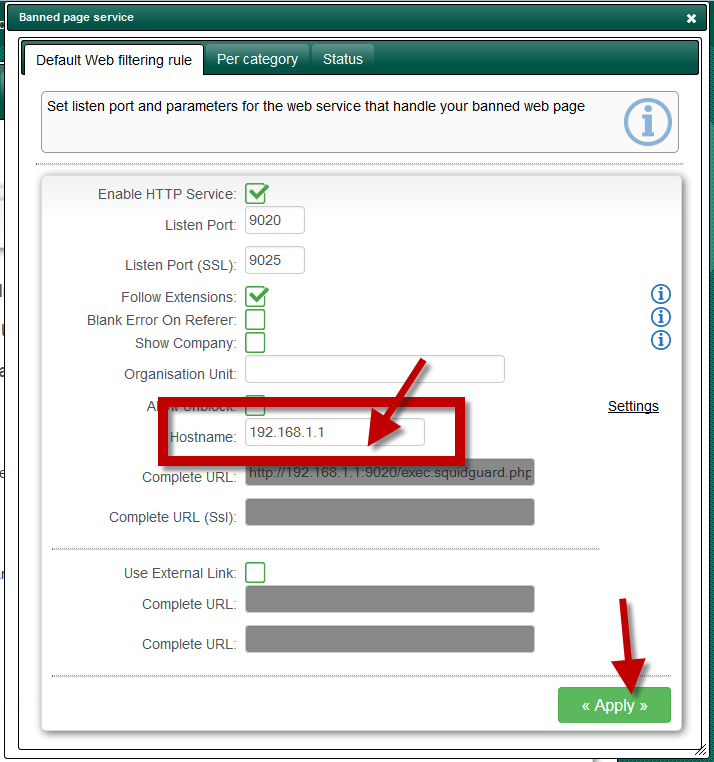 Notice: If you change the IP address of the proxy, you need to modifiy the Web filtering deny web page URL too. 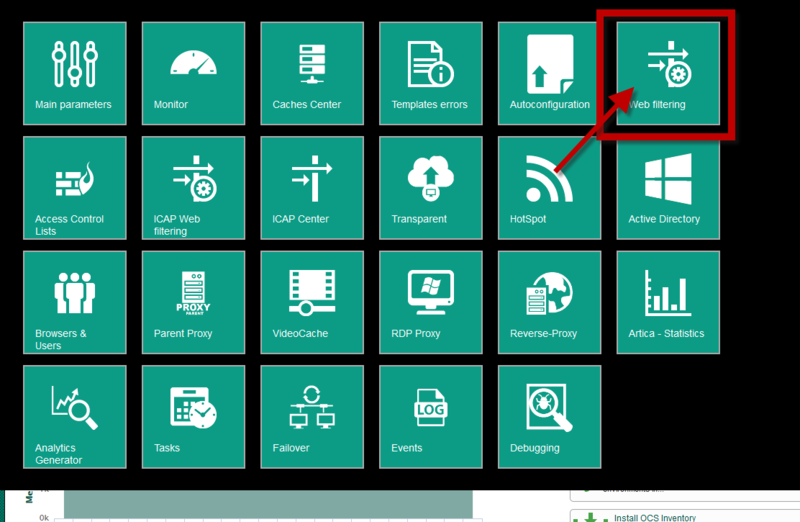 On the proxy section, click on the Web filtering menu. On the first section, you will see the Web Page deny URL link. 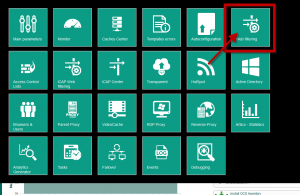 Change the hostname value to the correct one. Finally, rebuild your Web filtering rules.